As humans, we are used to obsessively caring for our teeth. We brush every morning and night, floss in between and visit the dentist for a professional cleaning and checkup twice a year. While we are all aware that dogs have teeth, we rarely think about their dental care needs. It turns out that a dog’s teeth require very similar care to that of a human. Failure to provide regular dental care for your pet may result in periodontal disease. This is caused by tartar buildup on the teeth which develops into an infection of the gum that eventually may spread to other organs and result in damage to the heart or kidneys, for example. Curious if your dog has periodontal disease? Some signs include drooling, inflamed gums, bleeding gums, bad breath, pawing at the mouth and loose teeth. So, what is the best way to prevent periodontal disease? Like in people, it’s a two-step process – daily maintenance and regular professional care. A dog’s teeth should be cared for daily. The best option is a toothbrush and dog toothpaste; however, many pets will not tolerate having their teeth brushed. Good alternatives are dental chews that mechanically clean the teeth or water additives, such as Primo Pup Dental Fresh, that help to control plaque and tartar. In additional to daily care, be sure to talk to your veterinarian about a regular professional cleaning schedule for your pet. Most vets recommend doing so annually. 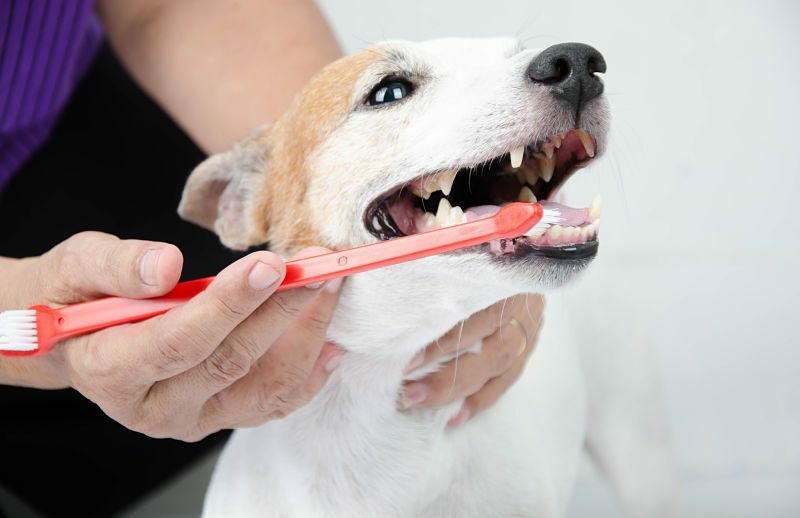 The preferred method is under anesthesia so that the veterinarian can fully clean all surfaces of the teeth and up around (and even under) the gums. Good oral hygiene is about more that just fresh breath and shiny white teeth – it is about whole-body health and not looking after it may lead to fatal consequences. The good news is that caring for a dog’s oral health is easy and painless once you find the best solution for you and your pet.